There is no denying the sweeping roofline and curvaceous haunches that grace Ian Callum’s successful Jaguar F-Type combine to create everything that is great about a Jaguar sports car. But part of this little Spitfire’s charm is the aural delights that emanate from the twin tailpipes of both the V8 and V6 variants that have been available since the model launched. In fact, anyone that has spent a bit of time with the ferocious V8 will attest to the fact that its start-up procedure is loud enough to have neighbours complaining within a few days. 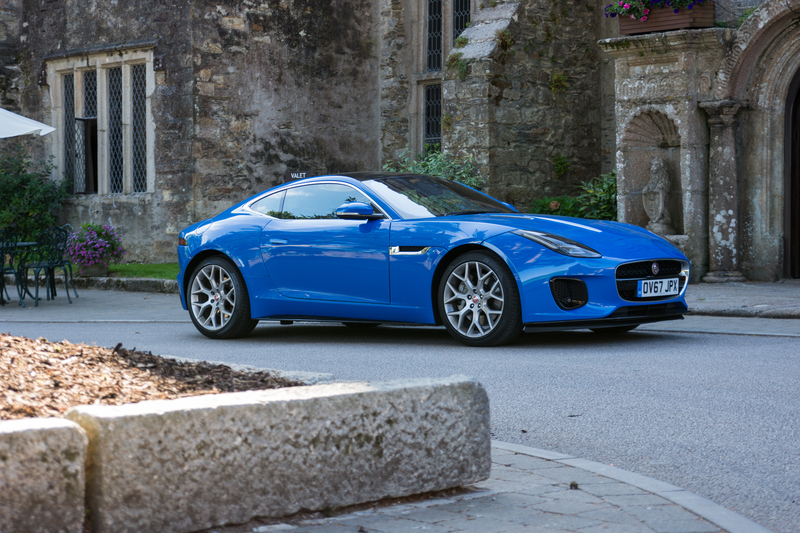 With that in mind, we can’t help but thinking a 2.0-litre, four-cylinder engine F-Type would lack that certain something. It was a similar case when we drove the 718 Boxster – a technically magnificent sports car that just so happened to sound like a Subaru when it thumped around town. 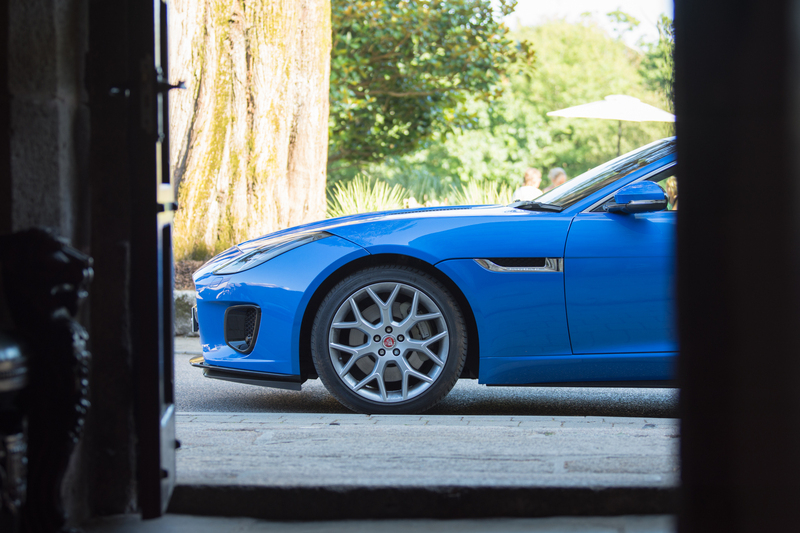 However, upon thumbing the circular ignition button inside the F-Type’s beautifully laid out cabin, most of those fears are allayed, as the British marque has done a pretty good job in manufacturing some exhaust note that is discreetly amplified via the in-car speakers. 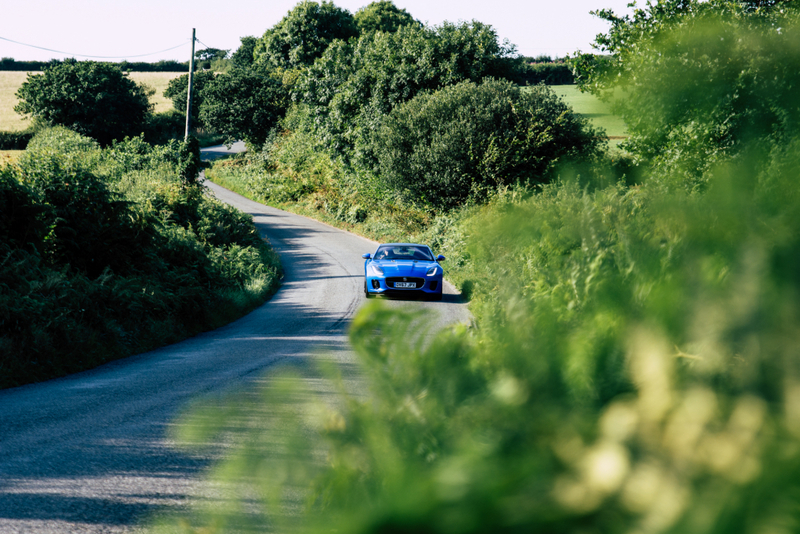 There’s no orchestra of hell when the low-slung machine barks into life, but activate the dynamic exhaust button, which opens valves in the stylish centrally mounted exhaust, and there is a growl as the revs climb and a few pops and bangs on the overrun. 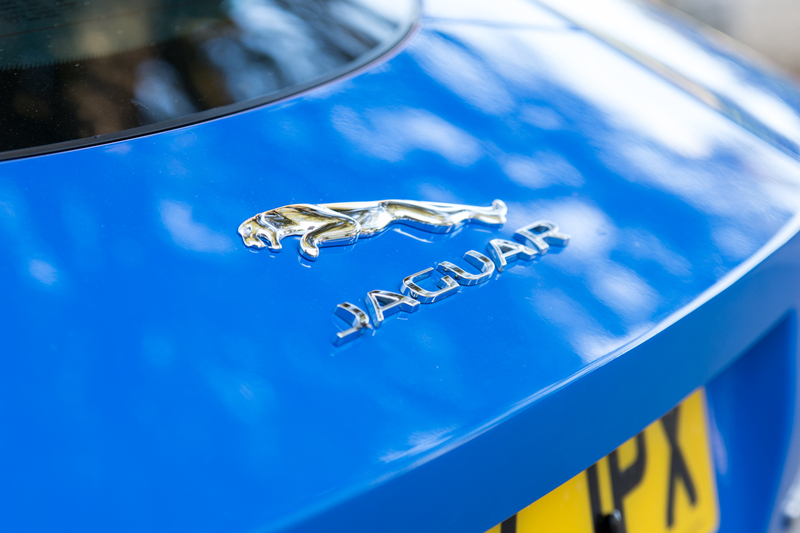 Aural issues aside, the lack of a big V6 or V8 powerplant means this little F-Type is also the lightest in the range, dropping 52kg over the closest V6 model and that weight has mainly been lost in the front. 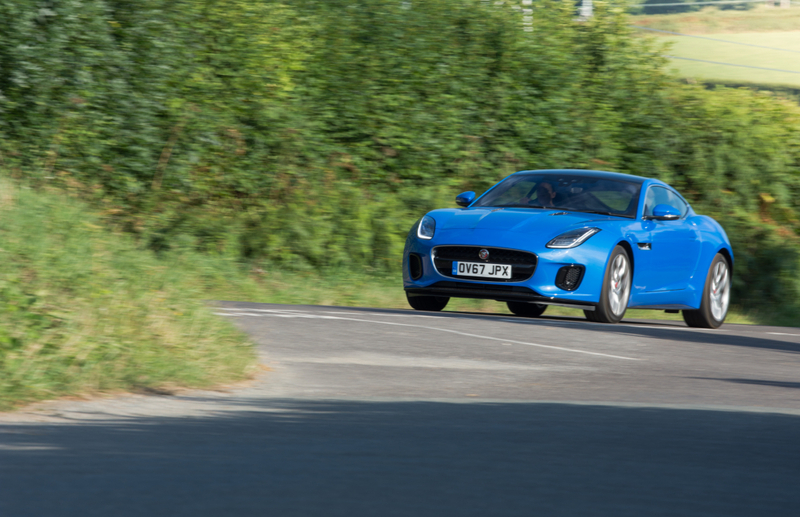 Power is 300hp and 400Nm of torque from the highly-strung petrol engine, which is hot hatch territory in today’s money, but push this F-Type hard, or punch the accelerator out of a corner, and it will still slither and slide enough to keep the driver on his or her toes. However, there’s little of the banzai hooligan antics experienced in the V8, where the rear wheels want to combust with every prod of the accelerator pedal, but it still excites. Just in a different way. Naturally, there will be some comparisons with Porsche’s baby Boxster here and we are going to lazily do the same, but like the Boxster, this lower powered F-Type feels like a car that can be driven confidently at speed, pushed harder through corners and generally taken to the ragged edge without wanting to spin you into a hedge at every given opportunity. 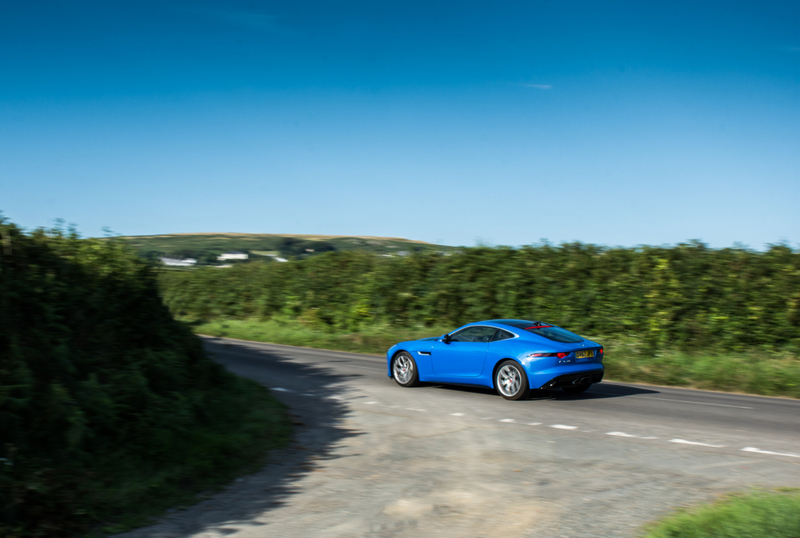 Jaguar doesn’t offer a manual gearbox here, instead plumping for its trusty eight-speed automatic, which could elevate the baby F-Type into true driver’s car territory but it would likely sell poorly and lose some of the everyday usability that makes it so appealing. Our weeklong loan of the machine also threw up another important factor of when considering purchasing a vehicle, and that’s the cost of ownership. Lengthy motorway journeys not only proved comfortable and relatively quiet (there is still some wind and road noise in the cockpit) but pretty easy on the wallet too, with the claimed 39.2mpg probably not far off what we managed to achieve. It makes a refreshing change from piloting a thirsty V8, which seemingly spits excess fuel out of its tailpipes for fun, reminding the owner that the next fuel stop will be just around the corner. Although one of Jaguar’s most irritating elements remains its touchscreen infotainment system, which can be clunky to operate and doesn’t seem to like connecting to smartphones via Bluetooth. We often found the media system randomly flitting away from Spotify in an attempt to play iTunes, not displaying track names properly and generally having issues. 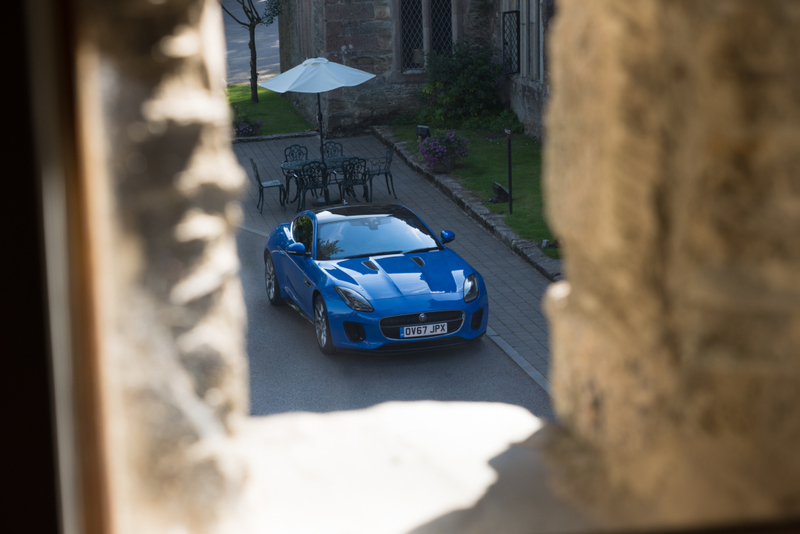 It’s a shame, seeing as the interior of the F-Type is such a simple but lovely place to be, with the air vents that rise out of the leather-strewn dash never failing to impress occupants. We have to admit, we are also big fans of that central exhaust system but sense the standard 18-inch wheels would look a little lame on a vehicle of this nature. 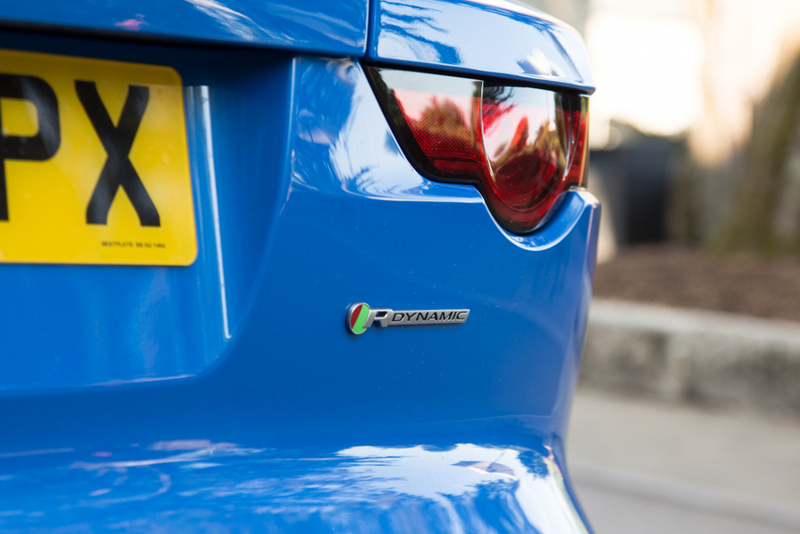 The 19-inch seven-spoke models on this test vehicle may cost over £1,000 but that’s money well spent in our eyes. If you can get over the soundtrack, this 2.0-litre won’t fail to impress with its additional agility and punchy performance. Ok, so 5.4 seconds to 60mph from rest won’t melt eyeballs any time soon, but it still feels quick, especially when driven hard on favoured roads, while the relatively impressive fuel economy figure ensure it’s a machine that can be driven hard every day.